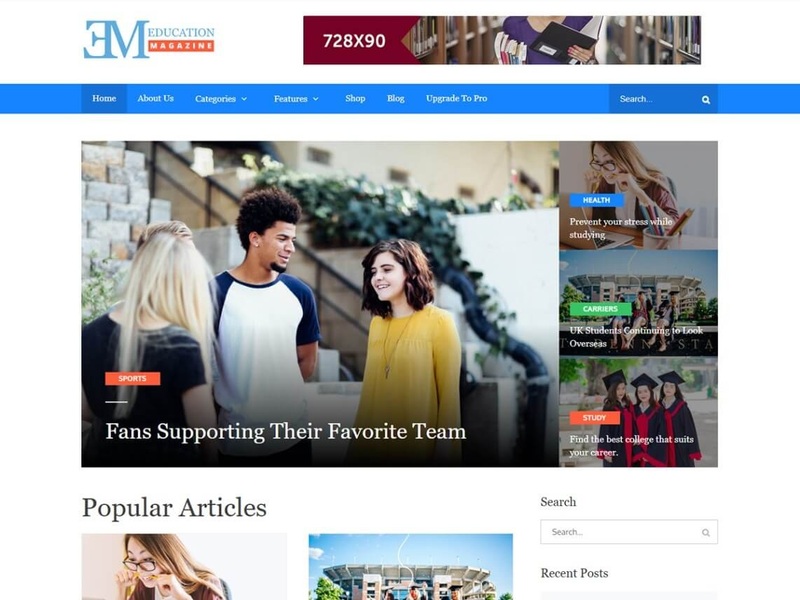 EduMag theme is a modern magazine styled educational purpose responsive WordPress theme. It is easily customizable built using theme options based on customizer API with live preview. It is the preferred theme for numerous educational professional and magazine websites, such as those of educational academies like a university, college, schools, and specialized learning centers. It is flexible enough to use it for general purposes also. It provides numerous features like breadcrumbs, pagination, layout and sidebar controls, social media widget etc. It is WooCommerce compatible and translation ready theme.